I'll admit that I had my doubts when I first saw how they were setting it up. I thought there would be a ton of wrecks and confusion. I thought it would take too long since they were only letting one side go at a time. I was pleasantly surprised at how quickly people adjusted and well the traffic moved through the intersection. I also had my doubts during the summer of construction. That intersection was a nightmare. The road was torn up. Traffic zooming up the mountain and then coming to a dead stop. There were many days that I thought the highway department was out of their mind. I could not figure out for the life of me why they were messing with something that wasn't broke in the first place. There were some kinks that had to be worked out and people had to adjust a little bit, but overall I think it has worked great. The truth is, that intersection was broke and we didn't even know it. It works so much better now that there is no comparison. It was a major inconvenience at the beginning of the project, but the end result works beautifully. I recall your memory to that project to bring up some changes that we are making around here. The truth is that there are a lot of things that work fine but could be better, and unfortunately there are some things that are broken. As we go to work on these things, there will be some kinks to work out and some adjustments to be made. 1 Corinthians 12:12-31 explains that the body is not made of only one type of body part, and that it wouldn't work very well if it were. Paul then drew the comparison between the church and the human body. Each individual member of our church was called here by God, and then gifted by God, so that they could be used by God to carry out His will in our church and community. As we enact changes, we do so first and foremost to grow. We want to make changes that help us grow and mature spiritually. We want to make changes that help us grow numerically. But, we don't want to just grow spiritually or just grow numerically. 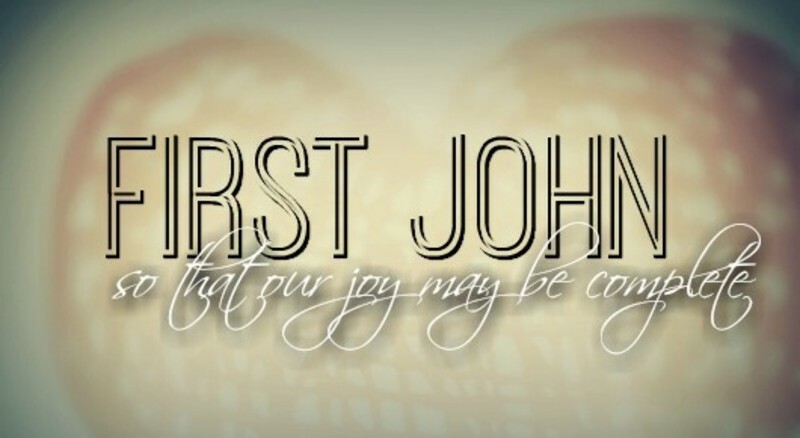 We want to grow so that we can see more people understand and realize the joy that comes from being used by God to accomplish His will. There may be some delays. There may be some kinks to work out. There may be some new things that require us to adjust. But in the end, I truly believe that we will look back and say, we should have been doing ministry this will all along. 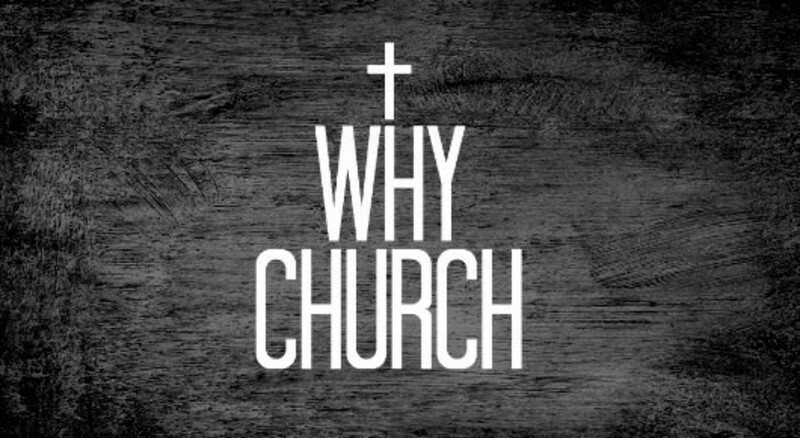 This week we are starting a new sermon series called Why Church, and I want to take this space to explain a little bit about what we will be studying. It all comes from the idea that the “why” behind your actions is much more important than “what” your actions were. I learned this the hard way. I got in trouble far more often for why or how I said something than for what I said. Many people will ask “what church” you go to, but has anyone ever asked “why” do you go to church? If they did, what would you say? Do you know why you go to church? I mean, other than the standard answers of “It helps me” or “It makes me feel good” or “Everyone needs a church family” or “Because God wants us to.” Can you really tell someone why you go to church? As we go through this series of sermons, we will ask some questions that you may not have ever thought you would hear in church? Questions like: “Does God really want me to go to church?” “Does the bible actually say that we are supposed to go to church?” “Does our church look like what a church is supposed to look like?” “What is the purpose of a church?” The answers to some of these questions may surprise you. So, why “Why Church.” Well because, if you don't know why you are doing something, then you are in danger of doing it for the wrong reasons. If you don't know why you are doing something, then you won't know how to tell if it is working. If you don't know why you are doing something, then you may not actually be doing what you think you are doing. I believe that this is exactly what is wrong with the church in America today. A lot is often made about how different churches feel. If you have ever been a church visitor, then you will know what I mean. If you have ever visited a church without really having a connection, then you really know what I mean. Each church has it's own vibe. Some are good and some are bad. Working for FCA in college, we visited a different church in a different town each week. Each week, the pastor at least knew that we were coming. But each week, we got a different welcome. Some churches were very excited to have us. Some seemed less so. Some treated us well, and others shrugged us off. One time they sent me and a friend to a historically black church, they were excited and shocked to have two white college students in service. One of the greatest compliments that our church can be given is that our church feels like home or feels like family. When I hear a visitor say that, I feel proud of our church. But, from a biblical point of view, we need to take it a step farther. We need to go from “feels like family” to “is family.” There is a big difference between those two descriptions. “Feels like Family” will hide the truth and keep quiet in order to maintain the status quo or norm. “Is Family” knows that this is a safe place to be honest and understands that everyone knows when something isn't right anyway. This week I was challenged by an idea while listening to a sermon. The preacher said that most people do not know the names of their great great grandparents, and many do not know their great grandparents. My initial reaction was to say no way. But as I began to think about it, I think that he is right. I could not name my greats or great greats on both sides. It seems so wrong that my parents and grand parents, who have had such an impact on my life, will have little to no impact on Emory's children. Now, his point really had nothing to do with knowing your family history. He was simply pointing out the importance of making the most of the influence that you can have today. There are exceptions to the rule I'm sure, but if your family is going to know anything about your life a generation from now then it better count for something important. He made the point that if you want your life to matter to your great great grandchildren tomorrow, then build a firm foundation for the gospel in your children and grandchildren today. When we were dating, Carrie's mom let me read her grandmother's journal. It was her thoughts and prayers from her quiet time. Carrie's great grandmother made her faith the centerpiece of her life. She had barely any formal education at all, but she could have written books with the thoughts and ideas she had in her Bible studies. The importance of her relationship with Jesus is being felt now five generations down; and that on top of the impact that she had on the people she knew and loved during her life on earth. Every church has a purpose, the same purpose. We are called to make disciples. We are called to build people up in Christ. We are to lay a foundation for the gospel in the lives of people around us and for the generations of people to come after us. To be honest, that sermon this week made me feel very small and insignificant. But, it also pointed out how large of a job we have as a church. Building up people and families in Christ can have an impact on generations that will never know our name.